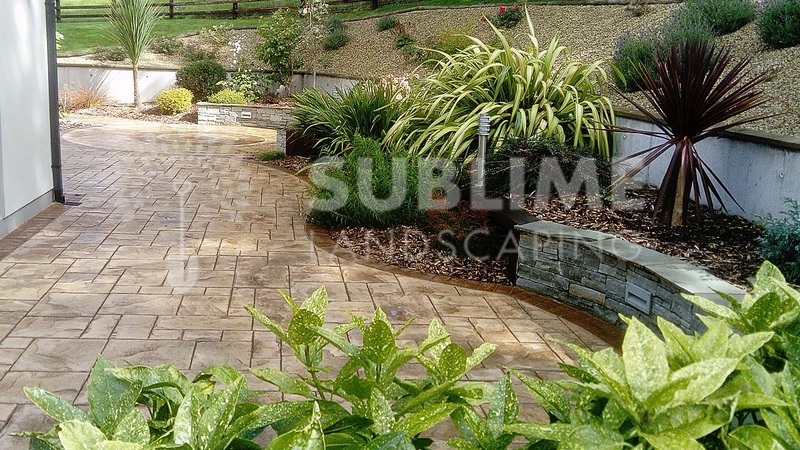 Pattern Imprinted Concrete Design, low mainteance patio paving alternative Cork. 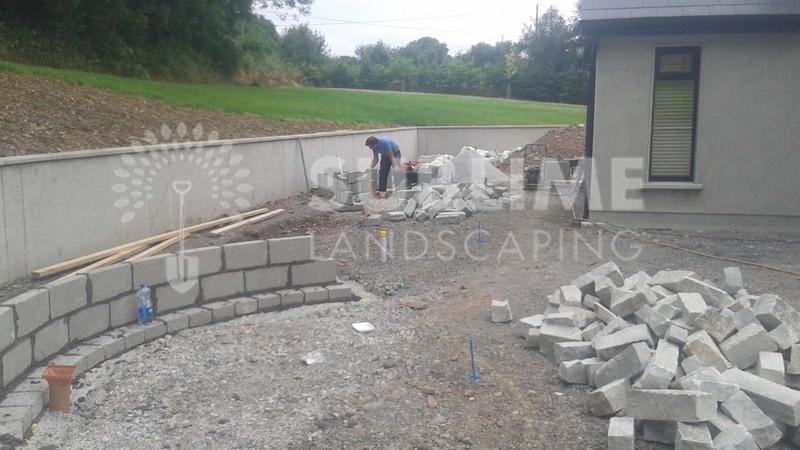 A landscaping project which entailed the construction of raised bedding, natural dry stack stone masonry walls, sleepers and the installation of an Imprinted Concrete Patio which is a great low maintenance alternative to natural paving. 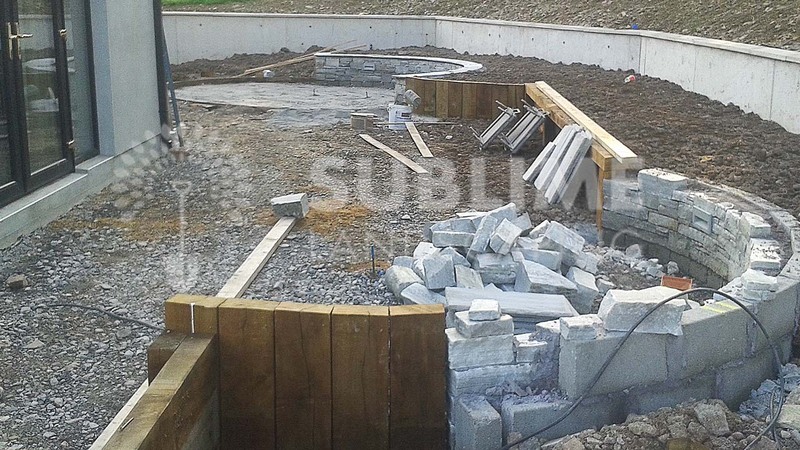 All supplied and built by the Sublime Landscaping Team. 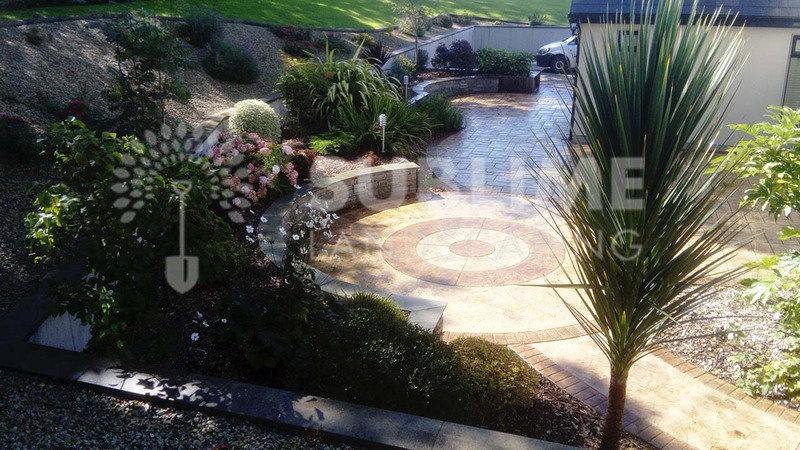 We wanted a low maintenance patio area. We also wanted to git rid of the barren look at the back of our house due to the site being filled. 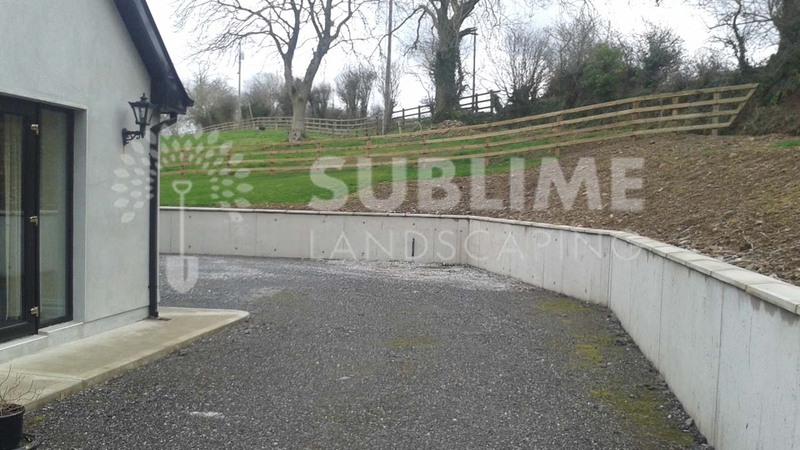 Sublime Landscaping offered a tick all the boxes scenario for what we wanted with out garden. I think the pictures from start to finish say it all. Best of success for the future.